Affordable waterfront lifestyles are not easy to come by along Florida’s coveted Emerald Coast. Add new construction and great amenities to the mix, and the combination becomes nearly non-existent apart from the Premier Property Group’s (PPG’s) exclusive Miller’s Landing on Lake Powell. A community of 25 townhomes situated along one of the region’s rapidly growing corridors, the first phase of this popular development sold out prior to the first building’s completion in mid-2018. And while the second of the four planned buildings is on track for completion in June, PPG’s COO Jason White noted that prospective buyers will want to act fast as the price-point for these high-end investments is simply unmatched in the region. “We are introducing seven new residences just in time to enjoy the summer season in Inlet Beach as well as the panhandle’s famous neighborhoods along Highway 30A,” he said, adding that the Miller’s Landing location on the western end of Panama City Beach gives residents access to a wealth of conveniences, dining, entertainment and culture. Miller’s Landing will also welcome the introduction of the community pool overlooking Lake Powell this Spring, offering a refreshing on-site option to the summer heat. It will also complement both the coastal opportunities of the region’s popular Gulf of Mexico beaches and Lake Powell—the largest of Florida’s coastal dune lakes. Holding the “Pristine Florida Waterway” designation, Lake Powell offers paddling enthusiasts direct access to the area’s sugar-white beaches within minutes through a meandering outlet that exchanges water with the Gulf—a characteristic that makes coastal dune lakes unique. Miller’s Landing offers three- and four-bedroom townhomes that range in size from 2,122 (1,580 H/C) – 2,744 (1,920 H/C) square feet. The elegantly-designed residences provide an open floor plan on the main living level that opens out to a large balcony—a design that is conducive for both entertaining or quiet evenings overlooking the lake. Constructed with 9-foot ceilings, the townhomes are equipped with state-of-the-art stainless steel appliances, the latest in laminate wood and porcelain tile flooring, granite countertops, all-wood cabinetry and impact-rated doors and windows. Owners also have access to a private one- or two-car garage. 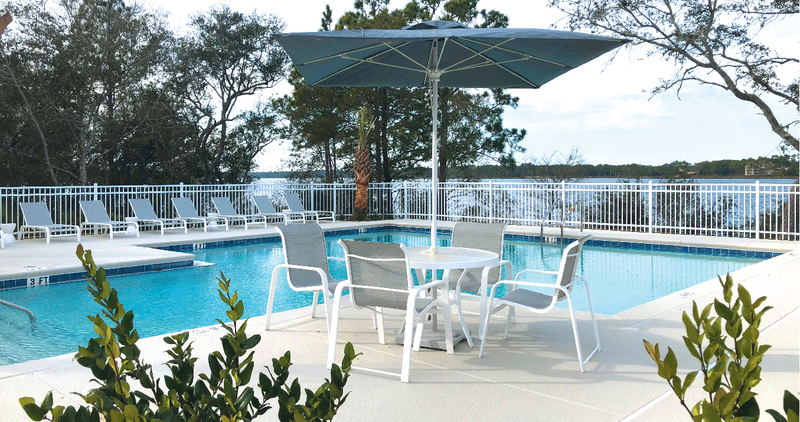 Along with an amenity package that includes lush, maintenance-free landscaping, a pool, community dock and other lifestyle amenities, residents also have access to Lake Powell’s Camp Helen State Park. Bordered by water on three sides with Lake Powell on the east, the park is home to its own uncommon beachfront and well-developed eco-trails that wind through dunes and scrub oak forests. “We are excited to introduce this next phase of Miller’s Landing into the market and expect to finalize the remaining buildings and complete the neighborhood by mid-2020,” White said. “The ecological backdrop combined with an affordable waterfront lifestyle within a vibrant, dynamic location make this community particularly special. New residences are priced in the low 300s. For more information, please visit millersonlakepowell.com.